The past year, like its predecessors, will once again be viewed by many as an annus horribilis. It has indeed been a bitter year on many fronts. Israel is an oasis surrounded by a sea of savagery which is reminiscent of the Dark Ages, with Islamic barbarians gleefully filming the decapitation of hostages, murdering hundreds of thousands of civilians and creating millions of refugees who are now seeking asylum in Europe. The relationship with the Obama administration continued to deteriorate and despite the opposition of the majority of Americans and both houses of Congress, the administration consummated a deal empowering the Iranian terrorists, bequeathing a legacy that will impact globally on the next generation. 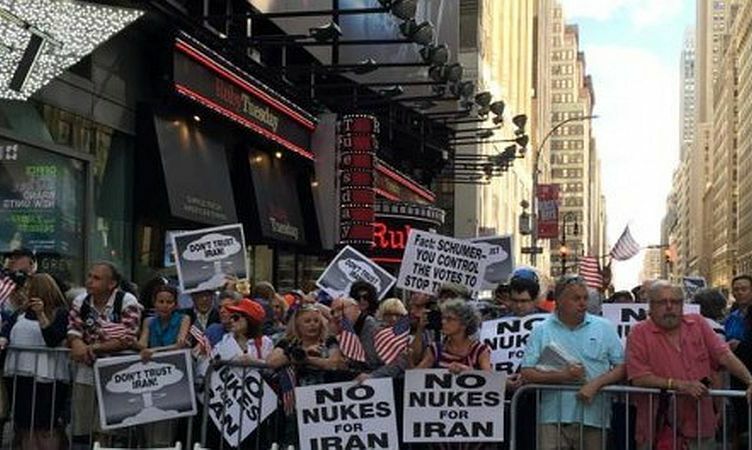 With the Iranians adamantly reiterating that the destruction of Israel remains one of their prime objectives, this has particular negative connotations for us. Aside from the U.S. where Israel enjoys strong public support, our global standing has continued to erode, especially in Europe, where they are now poised to announce new measures to pressure us to make further unilateral concessions to the Palestinians. This, at a time of mayhem in the region and with the level of incitement against Israel from the Palestinian Authority virtually indistinguishable from that of the openly genocidal Hamas. A genuine peace settlement with the Palestinians is not even on the horizon and will not be achieved until there are leaders who are genuinely committed to peace and coexistence. While we must continue, on an interim basis, to build bridges with the Palestinian people by enhancing their quality of life, we must also resist international efforts to pressure Israel into making further unilateral concessions which will empower the radical Palestinians committed to ending Jewish sovereignty rather than achieving independence. The global anti-Semitic tsunami is still raging and Europe is becoming transformed into a cemetery for Jews. Public opinion in Europe, the continent drenched with the blood of Jews from the Shoah, regards the Jewish state as a greater threat to global peace than Iran, Syria or even North Korea and views Israelis as genocidal, their behavior to the Palestinians likened to that of the Nazis toward the Jews. Acts of terror against Jews by jihadists returning from Syrian killing fields create an atmosphere of fear even within larger European Jewish communities. French Jews were warned by an American pollster that, in addition to avoiding items that would identify them as Jews, they should also avoid ever employing the term “Zionist” because of the hostility it generates. 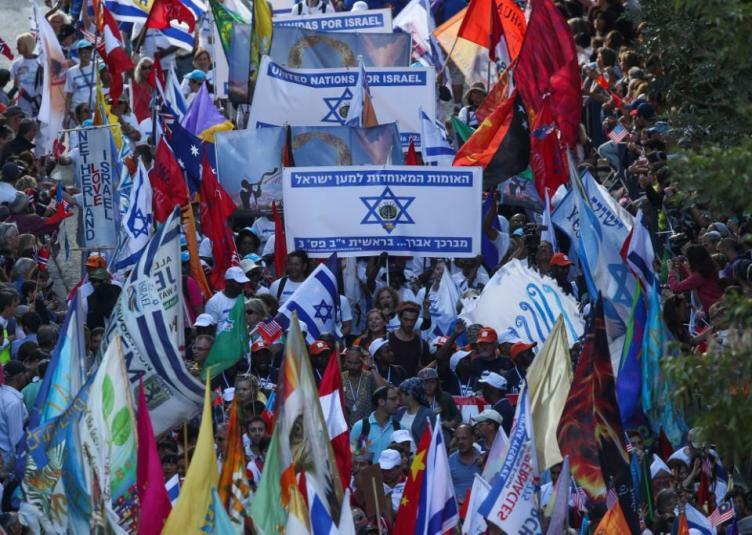 It is not surprising that many European Jews see no future for themselves in countries that regard them as pariahs unless they join the chorus of anti-Israeli demonization and intend to emigrate. After soul-searching — teshuva — and critically reviewing the past year with a view to improving ourselves, we must also become sensitive to a number of crucial areas which, if ignored, can ultimately cause us immeasurable harm. First and foremost, we need to cultivate a greater sense of unity and civic harmony. To achieve that, we must reform our dysfunctional political system — which will only happen if there is a unity government. While both Prime Minister Benjamin Netanyahu and Opposition Leader Isaac Herzog are said to favor such reform, it remains stymied by the radical wings of their respective parties. We need also to take steps to reverse the tribalization that is polarizing society, by strengthening the Zionist, Jewish and democratic identity of the state and imposing mandatory core curricula in all educational streams, including the haredi and Arab-Israeli sectors. There must also be a concerted effort to create conditions encouraging haredim to become productive segments of society, accelerate their absorption into the work force and share the burdens of citizenship, including the draft. Likewise the state should cease providing salaries to anti-Zionist rabbis who reject prayers for the welfare of the state or agitate against the draft. The Chief Rabbinate must not be permitted to disqualify the new independent Bet Din comprising Orthodox rabbis who seek to ease conversion and marriage processes. Greater efforts must also be made to integrate the Israeli Arab sector by enhancing their social and economic status but simultaneously adopting a tougher approach against radical elements that seek to undermine the state or provide support to our enemies. Finally, as we could be on the edge of a new wave of aliyah, it is crucial that we invest major efforts to ensure the smooth integration of immigrants from affluent European countries and stimulate a climate, which will encourage Jews facing oppression to come home to Israel rather than migrating to other Diaspora communities. For some, the external threats and the internal problems confronting us are considered a depressing background to Rosh Hashana. But truth be told, the Almighty must be watching over us, because despite our internal divisions and ongoing external challenges, decade after decade, we seem blessed to prosper and grow from strength to strength. 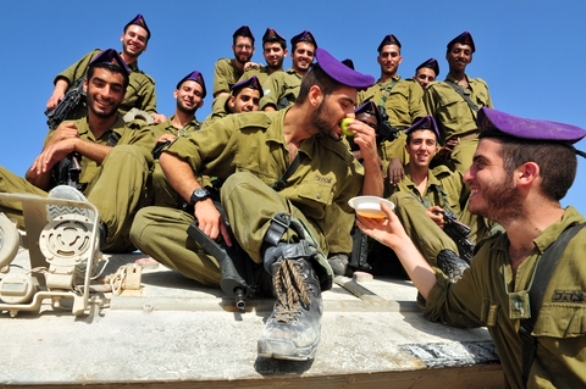 Polls show that despite the stresses, we Israelis are among the happiest nations in the world. As we celebrate Rosh Hashana in a turbulent world, those like myself who believe that our continued survival is due to a Divine presence, should give thanks to the Almighty that despite the enormous hatred surrounding us and contrary to all historic precedents and reason, we have never been as powerful as we are today. One should not be blasé about the fact that that the IDF has the capacity to deter an onslaught from all our adversaries combined. Even our greatest foe, Iran, is aware of the consequences should it seek to implement its threats. There are also grounds to believe that, irrespective of who will be the next U.S. president, we will enjoy a major improvement in our relationship. The U.S is a democracy and both public opinion and Congress support us today more than ever. Indeed Netanyahu’s battle over Iran is likely to encourage all parties to compensate Israel. It will probably also inhibit Barack Obama during his remaining term in office to tread warily before seeking to implement his threats to abandon Israel to the U.N. when Israel rejects efforts to accept the indefensible 1949 armistice lines as future borders in a peace settlement. In addition, we are strengthening economic and political relations with Asia — especially India, Japan and China — as well as quietly exploring limited collaboration against Iran and its satellites within the moderate Sunni Arab countries. We must never take for granted that our generation is blessed to have a Jewish state. It requires little imagination to visualize what horrific conditions would face us in the absence of the state, which has empowered Jews for the first time since our dispersion. Any Jew is assured of haven in their Jewish homeland and we hope many more will make aliyah in the years to come. We pray that increasing numbers will do so out of a desire to live in their Jewish homeland rather than escaping persecution and discrimination. So despite the fierce challenges confronting us, we should look to the future with optimism. Without detracting from the necessity of remaining alert and strong, we should dismiss the prophets of doom. We must continue to remind ourselves of the reality that we are indeed the most blessed generation of Jews since our exile 2,000 years ago. Much as we seek the friendship and support of other nations, we are fortified in the knowledge that today we independently determine our own future. Shanah tovah and am yisrael chai!